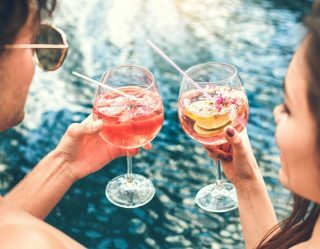 In this age of ever-present distraction and bespoke technology waiting in our pockets at all times, it’s a challenge for brick and mortar museums to catch a visitor’s full attention. 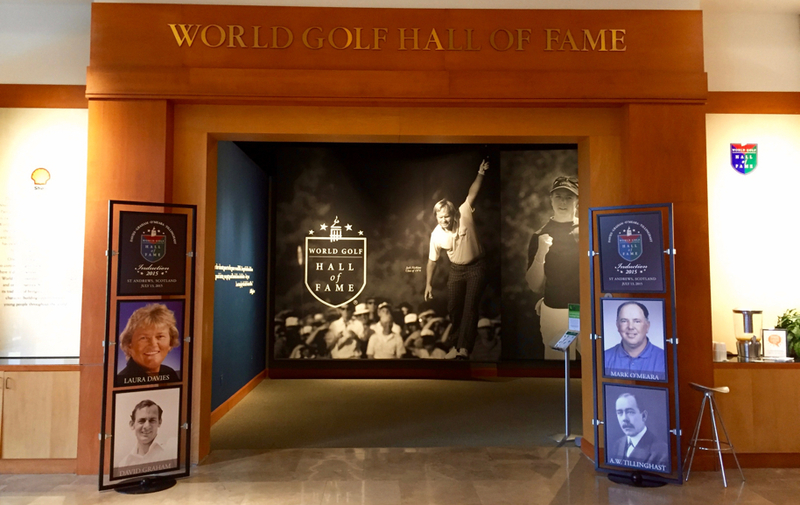 The World Golf Hall of Fame (the star attraction of the World Golf Village in St. Augustine, Florida) manages that feat by presenting both a welcoming historical presentation and a high-tech participatory experience. In the end, it’s a museum that even non-players can enjoy. 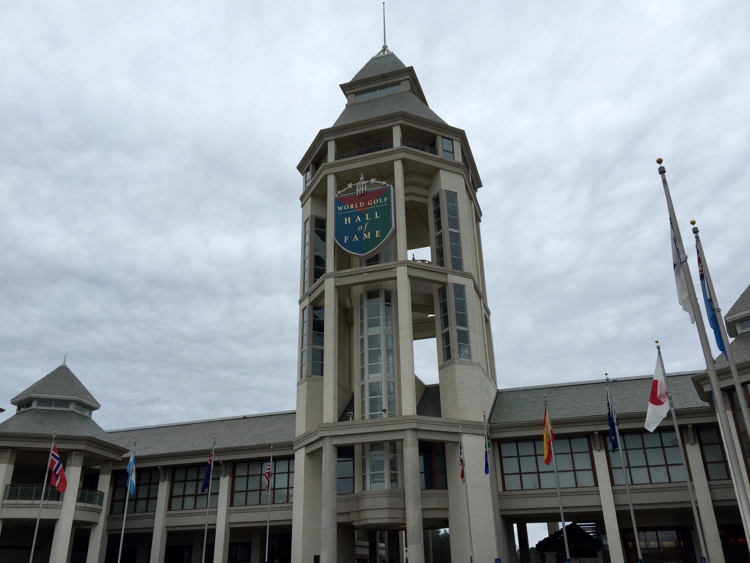 Supported by a collection of golf organizations, the World Golf Hall of Fame opened in 1998. It’s separate from the PGA (headquartered down in Palm Beach, Florida). 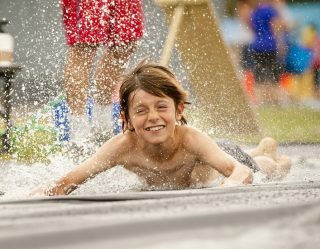 So, the venue is unique as a museum and celebration of a sport run independently from that sport’s official governing body. The PGA has its own Hall of Fame offerings, and all parties seem to get along just fine. It’s also unique as it includes male and female players on equal footing. In other words, Jack Nicklaus is handled with the same reverence as Nancy Lopez. 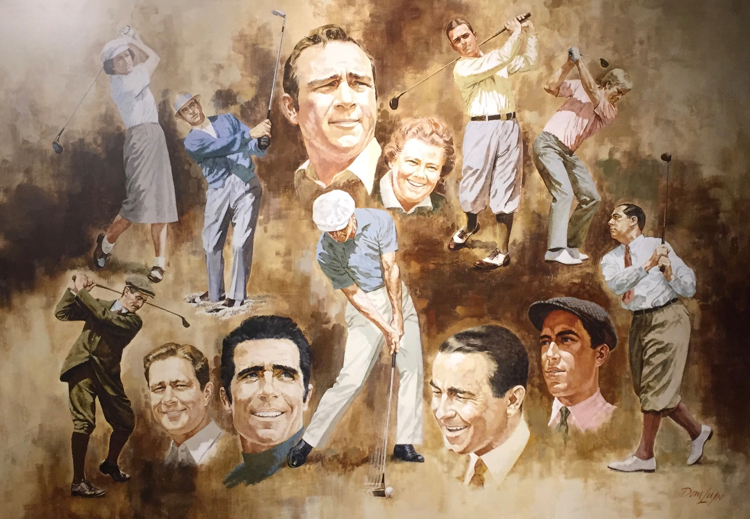 The Hall follows the game from its primitive origins in Scotland through its golden era in the 20th century with Palmer, Nicklaus and Player to the modern day. With a mix of artifacts, memorabilia, player stories, and recreations dedicated to the Majors and international tournaments, the facility covers every base — if I can mix my sports metaphors. Most importantly, the Hall’s designers include a mix of participatory spots where visitors can “do something.” While surrounded by stillness and silence on the course, golf is still a kinetic activity. That means any museum experience must include some action. At the Hall of Fame, folks can try a 140+ yard shot on an island hole over an unforgiving lake before entering the building. They can simulate putts that won or lost Ryder Cups. They can even play multiple holes on the world’s greatest courses on advanced golf simulators. Below you’ll find a virtual tour of just some of the sights found inside this massive celebration of a very difficult game.